Indonesia: Sumatra, Singalang 2000 ft. This is one of three recorded syntypes. 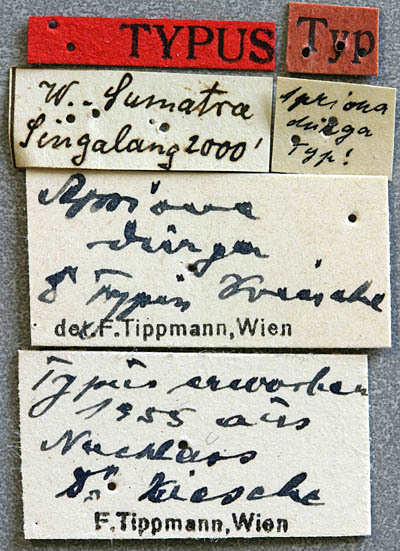 Tippmann labeled this specimen as having been obtained from the Kriesche Estate in 1955.